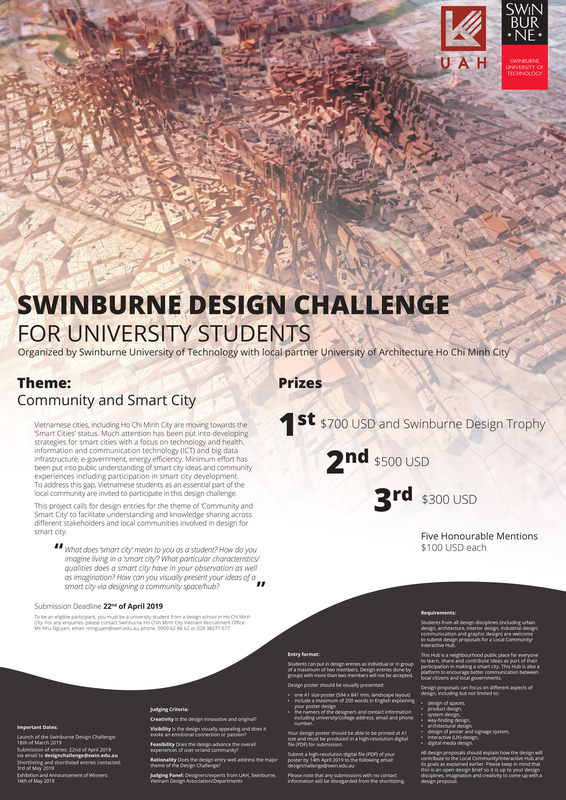 This project calls for design entries for the theme of Community and Smart City to facilitate understanding and knowledge sharing across different stakeholders and communities involved in design for smart city "What does smort city mean to you as a student? How Vietnamese cities, How do you imagine living in a smart city? What particular characteristics/qualities does a smart city have in your observation as well as imagination? How can you visually present your ideas of a smart city via designing a community space/hub?"